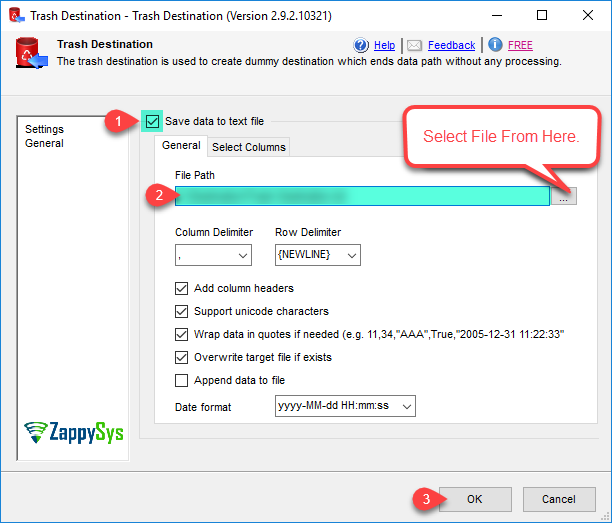 Trash Destination can be used to terminate your dataflow pipeline without doing any expensive processing on incoming data. This component is very useful during testing where you want to focus on source and transforms but don't really care about destination. 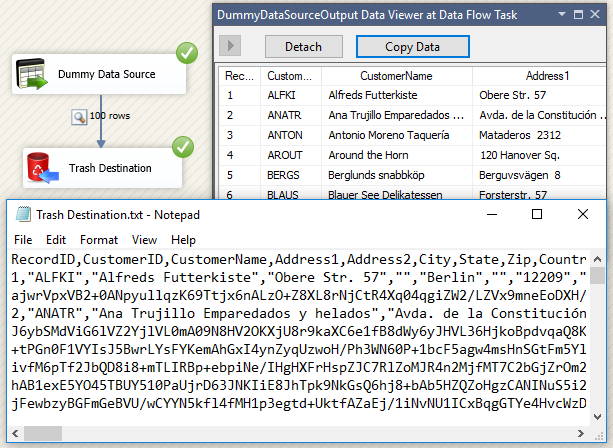 If you check Save Data to File then by default all input columns are logged to file. If you wish to log selected input column then use Advanced Editor (Right click on Trash Destination and Click Advanced Editor). On the Input Columns Tab check/uncheck columns you wish to log in file. This component does not support error output .